Clinician Biographical Information Richard C. Crain retired in 2000 from the Spring ISD (Houston, TX) after 21 years as Director of Music and 44 total years of service in public school music education. He also previously served as Head Band Director at Westfield HS, Spring HS, and Belton HS. His Spring HS band performed at The Midwest Clinic in Chicago in 1980, and Belton HS in the Tournament of Roses Parade in Pasadena, CA, in 1974 and won honors in concert and marching contests in TX, LA, VA, and CO. He currently is a frequent adjudicator, clinician, and consultant throughout the U.S.; and he has been a presenter for numerous university summer band camps, music education classes, and state music conventions throughout the U.S. and in Canada. 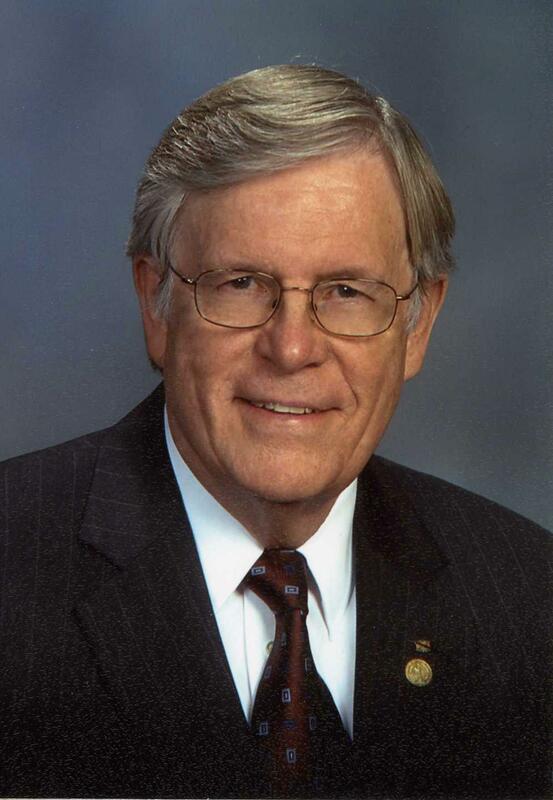 Crain has served on The Midwest Clinic Board of Directors since 1992 and was elected as a Vice President in 2004. He was elected President of the Board in 2009. He and his wife Gayle were the Festival Coordinators for the National Concert Band Festival from its debut in 1991 through 2008, and he and Gayle were inducted into the Bands of America Hall of Fame in 2005. They were instrumental in developing the concept of the NCBF, and their contributions resulted in the national festival growing into one of the largest events of its kind in the United States. Crain is Past President of the Texas Bandmasters Association, the Alpha Chapter of Phi Beta Mu, and the Texas Music Adjudicators Association. From 1977 through 2008, he served as International Executive Secretary of Phi Beta Mu International Bandmasters Fraternity, and he is included in the PBM Texas Bandmasters Hall of Fame. He is a member of the American Bandmasters Association and is a co-author of Band Expressions, Books I and II, published by Alfred Publications. He and his wife Gayle served as Executive Secretaries for the University Interscholastic League Region IX band, choir, and orchestra contests for over 11 years. In December of 2007, Crain received the Medal of Honor from The Midwest Clinic in Chicago for his contributions to music education throughout the U.S. and Canada; and in 2009, the Outstanding Contribution to Bands Award was presented to Crain at the annual meeting of Phi Beta Mu International at The Midwest Clinic in Chicago. Other honors include the Music Administrator Lifetime Achievement Award from TBA in 2006, the Richard C. Crain Fine Arts Building at Spring HS dedicated in 2000, the Distinguished Faculty Award from the SHS Alumni in 2002, the Texas Bandmaster of the Year Award by TBA in 1994, and the state and national 1994 Outstanding Music Educator awards from NFIAA. In 1974, Crain was named “Man of the Year” by the Chamber of Commerce of Belton, Texas. From the 1970’s through 2007, Crain was an organizer of the services held by the Fellowship of Christian Musicians at the TBA conventions, and he is currently a Deacon and the retired Orchestra Director for Spring Baptist Church in Spring, TX. In February 2011, Crain received the “Outstanding Contributions to Music Education Award” from the South Central Regional Music Conference in Monroe, LA., and in December of 2011, he received the “Al and Gladys Wright” award from the Women’s Band Directors International Association. The Texas Bandmasters Association presented Crain with The Honorary Life Membership award in July of 2012. In December of 2013, Crain was inducted into the Phi Beta Mu International Bandmasters Association Hall of Fame, in Chicago, Illinois, and received the Phi Beta Mu Outstanding Contributor Award in 2011. In May of 2017, Crain received the Honorary Doctorate from VanderCook College of Music. Richard and Gayle celebrated their 55th wedding anniversary in June of 2016 reside in The Woodlands, TX. Richard’s wife Gayle was a former college business instructor and college administrator who worked with him for many music education organizations for 53 years and provided invaluable assistance throughout his career. She is an honorary member of Phi Beta Mu International. She also served on the Board of the TBA Wives Association and was President in 1977. Gayle passed away December 23, 2016.